Looking for door openers, controls or spares for your garage door installations? We stock Chamberlain, Liftmaster and many more to meet your requirements for canopy, retractable and sectional doors. LiftMaster LM100EV Garage Door Opener With FREE 8323CR5 3 piece Rail. This product is a garage door opener of the 'Evolution' series from Chamberlain LiftMaster, the LM100EV is a maintenance free, ultra-quie.. 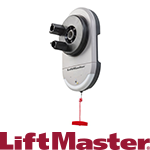 The Liftmaster LM50EV is simple to fit, easy to program and comes equipped with all the high end performance features that Liftmaster are re..
Technical DataMax. pulling force 700N Max. door surface 11.5m2 Maintenance-free belt drive myQ compatibility - enables monitori.. This product is a garage door opener of the 'Evolution' series from Chamberlain LiftMaster, the LM60EV is a maintenance free, ultra.. The LM80EV is part of the 'Evolution' series from Chamberlain LiftMaster. It is a maintenance free, ultra-quiet and fast ..
FeaturesMax. pulling force 1000N Max. door surface 13.5m2 Maintenance-free belt drive with 200mm/ sec one of the fastest and stro..
Chamberlain LiftMaster 5580KTX Garage Door Opener.What's Included?Heavy Duty AC Motor Flip down light lense Illuminated push .. 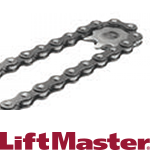 Discontinued, please contact us for a suitable alternative by clicking here.The fast and silent Chamberlain LiftMaster LM650EVGB is aimed at..
Garage door openers take away the inconvenience of getting out of your car to open your garage door manually. By simply pressing the remote ..